Publisher Digerati and developer RuneHeads have announced story-driven dungeon crawler Fall of Light: Darkest Edition for PlayStation 4, Xbox One, and Switch. It will launch this summer. A PlayStation 4 limited edition physical version of Fall of Light: Darkest Edition will also be distributed by Eastasiasoft via Play-Asia.com. Release date, pricing, and other information will be announced closer to launch. 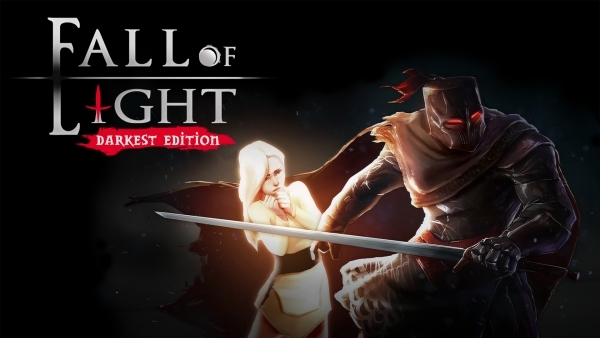 Fall of Light first launched for PC via Steam in September 2017. The console-exclusive Darkest Edition featuers all of the original content, as well as a brand new dungeon with new enemies, traps, and weapons. 10 weapon classes: pick your favorite combo of close-range weapons, crossbows, and shields. All-new dungeon: complete with new enemies and dangers, exclusive to the Darkest Edition. Unlock hidden secrets: learn more about the history and lore of Nyx’s world. Supports the following languages: French, Italian, German, Spanish, Russian, Portuguese-Brazil, Simplified Chinese, and Hungarian.